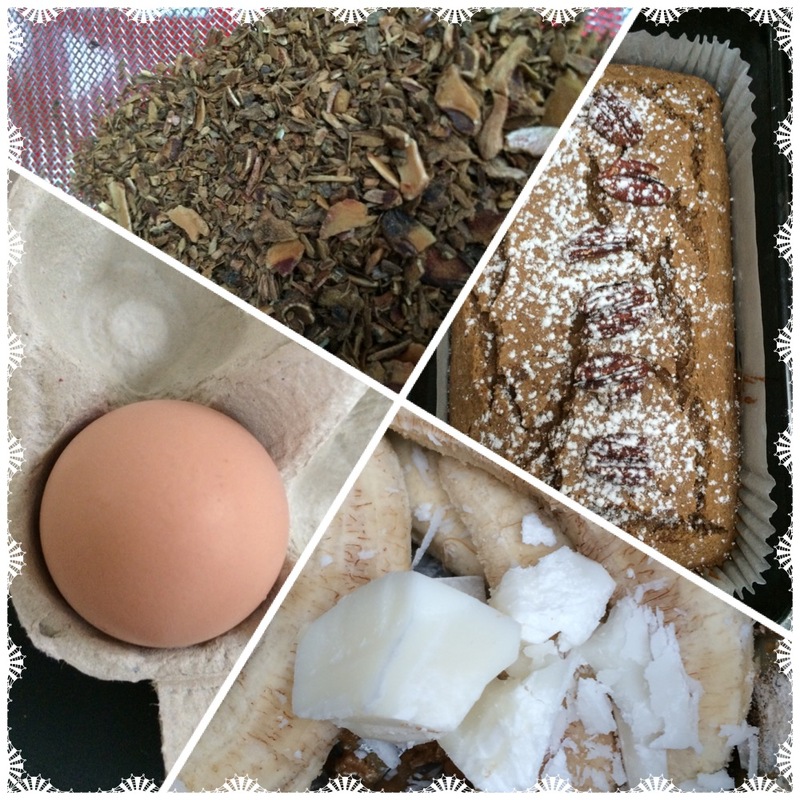 GF banana bread – Spring clean specials! With spring comes spring-cleaning and a renewed desire to shake the cobwebs away, clean up your act, de-clutter your life! To take it one step at a time, I have decided to dedicate the next few posts to clean living and feel-good recipes. First, choose to do one healthy thing or genuinely “good for you” action every day: today I sorted out my linen cupboard and threw any old towel or sheet to recycling! Tomorrow, I tackle my desk and office corner… Tough, but really good for the soul! Mix the flour, almond and oats. Add the bicarbonate and baking powder. Beat the egg in the coconut milk, add the oil, salt. Mix it all in a wide bowl and add the crushed bananas, cinnamon, honey and date syrup. Date syrup or grape syrup are really great products and you should be able to source them in middle eastern groceries or oriental corner shops. But if you can’t find it just replace that with another couple of spoonfuls of honey or even treacle if you want a spicy taste. Bake for one hour at 150 degrees. This bread has a cake-like indulgence – whilst remaining more virtuous than cake- and a moist, melting texture. Serve sliced for breakfast, with or without a spoonful of yogurt. This recipe was inspired by the Minimalist Baker .